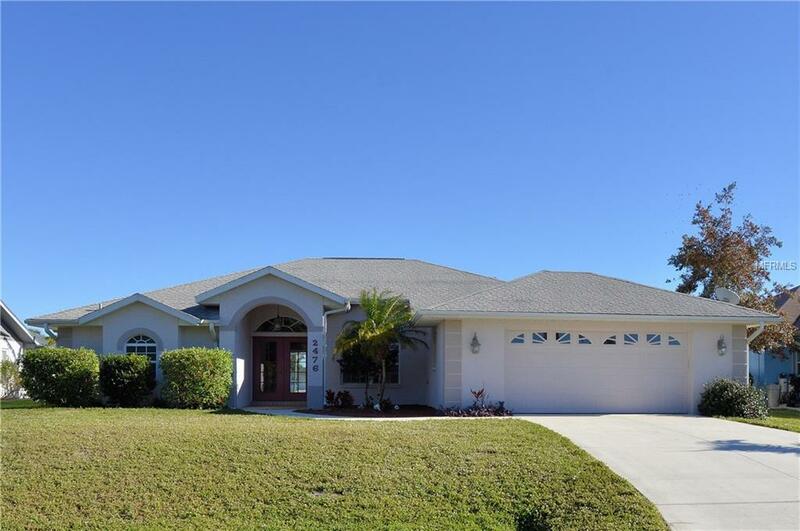 Tranquility awaits in this well-maintained, one owner home in Gulf Cove. Enjoy views of the Myakka River and your pool from the spacious lanai or while sitting in the spacious family room. There is plenty of room for entertaining in the open living room/dining room with triple pocket sliders for indoor/outdoor living. The kitchen features solid surface counters and white cabinets with stainless steel appliances. The microwave can also be used as a convection oven. The master bedroom has 2 walk-in closets, and the master bath has a garden tub and walk-in shower, dual sinks, and a separate water closet. Fish off your dock or seawall, or launch your kayaks and go exploring. Paradise is waiting for you!